It would appear that Bob Dylan doesn’t give a damn about winning the Nobel Prize in Literature. 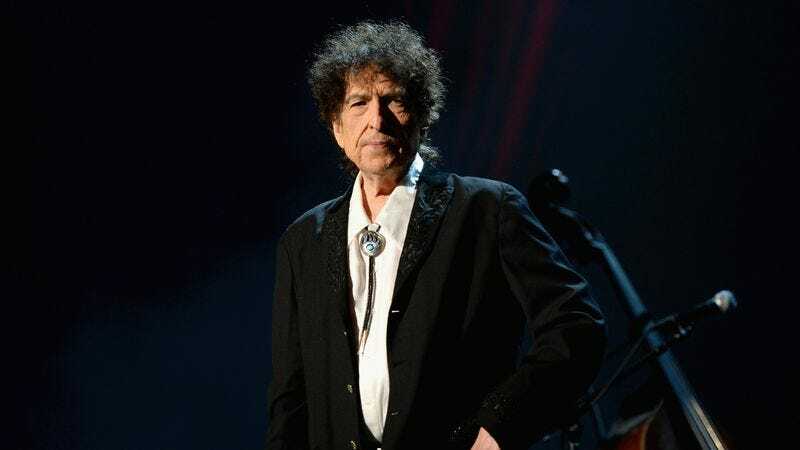 The singer-songwriter hasn’t mentioned it at any of his shows, he still hasn’t returned any of the Nobel committee’s calls, and, most recently, mention of the award has disappeared from Dylan’s website. If anything, Dylan’s apparent apathy towards the Nobel Prize confirms that maybe, just maybe, the dream of the ’60s is still alive. Dylan never appeared to care for any award he received: In 1963, he received the Tom Paine Award from the Emergency Civil Liberties Committee honoring his civil rights work. The songwriter responded by criticizing The U.S. ban on travel to Cuba and mentioning that he “saw some of myself” in Lee Harvey Oswald. In his autobiography, Dylan recalled feeling that he was “losing all kinds of credibility” upon being awarded an Honorary Doctorate of Music from Princeton in 1970. Even when he appeared to slightly enjoy receiving accolades, Dylan—distinctly different from his songwriting—was a man of few words.